Those of you that know me, know that I can find my way around the kitchen, and that I'm not a half bad as cook, baker, and general foodie. I do enjoy preparing meals for others, but I do not enjoy doing it just for myself, and I hate the cleanup duties. 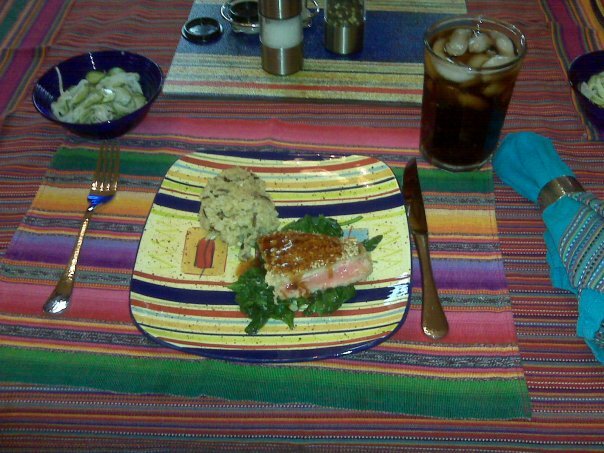 More than 7 years ago I started a spin-off blog called "...en la Cocina" to document all the recipes I've gathered and created through the years. Some of the gathered recipes come from recipes given to me by family and friends dating back to when I first started to cook as a little kid. My dad was a great cook and I think I must have inherited this gene. It certainly didn't come from my mother. All her recipes were well done, overcooked, or over boiled mush, typical of the mid-west farmers back in the day. Corn on the cob had to boil forever (15 minutes +) for her to consider it "done." It wasn't until I was an adult that I discovered how wonderful corn on the cob can be if it is done right. I like mine a little crisp, and I particularly like the grassy taste you get when it's cooked with the husk on. Today, I use the microwave, I peel back the first layer of corn husk, remove all the other leaves and all the silk, pull the first layer back up, put it in a covered microwave safe dish with ¼ cup of water and nuke it on high for 4 minutes, adding extra time for additional ears of corn. Wow, did I get off on a tangent there, or what? Sorry, back to "... en la Cocina," and my dad. 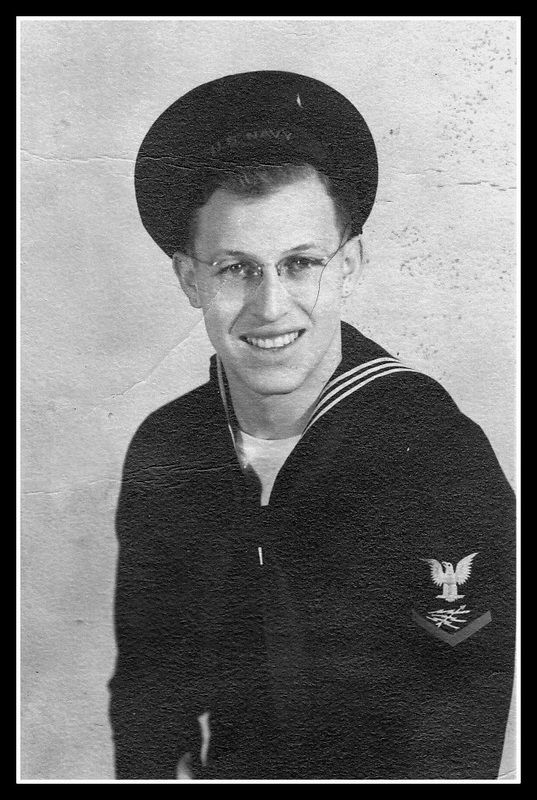 Dad's ship was sunk in the South Pacific during WWII, and he lost his job as a radio operator. The survivors were sent back to San Diego, and reassigned to other ships. Some were assigned new duties. Dad became a Navy Cook. He told me he learned to cook "on the job" and experimented with different ingredients. He admits, sometimes the food was barely edible, but over time he figured out how to combine flavors to get the best results. Growing up I remember more than one meal he had prepared getting dumped in the garbage. If he didn't like it, he didn't serve it. He was the master of experimentation in the kitchen, and I don't think my mother ever knew how many failed meal attempts went into the trash. But, I can assure you, his successes far outnumber the failures. I've always thought his simple scrambled eggs were the best I have ever eaten. His recipe for sourdough garlic cheese toast is second to none. Just give me this toast, with a small side of spaghetti, and I'm a happy camper. Thank you Dad, for teaching me to not be afraid of complicated recipes and strange new ingredients. Because of him, I am a decent cook today, and I think my family appreciates my culinary heritage. My recipe blog has become an easy place for me to store our favorite recipes. I frequently look up a recipe in the blog and then setup my laptop, or iPhone, in the kitchen, to have access to the ingredients and directions. I used to print the recipes out, but that was such a waste of paper and obviously not very "green." 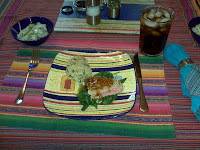 With all the social media out there, I've started sharing my recipes on Pinterest and on my Facebook page. It has been fun to watch the tracking tools to see where all the visitors to "... en la Cocina" are coming from. I've come to the conclusion there are a lot of home sick Ticos (Costa Ricans) around the world and they are all looking for the comfort foods from their homeland. Many of these visitors find me through search engines, like Google, and they come from all around the globe: U.S.A., Canada, England, Ireland, Gemany, China, Japan, Africa, and on and on. They are usually searching for the recipes for "Olla de Carne" (Costa Rican beef stew), "Bizcocho" (toasted cornmeal rings that taste similar to Fritos), and "Platano" (plantains) fixed anyway you can imagine. I also get a number of visitors looking for ways to make something from scratch. They usually can't find something that comes prepackaged in the States. For instance, this week I had a visitor from Costa Rica looking for a Graham Cracker Pie Crust. Another person from Malaysia found me by looking for Red Enchilada Sauce. At other times, I've had folks looking for Bisquick Mix, Miracle Whip, and even Lawry's Seasoned Salt. Every time we get a craving for something from our homeland, I search for mock recipes to make it from scratch and then figure out what I can use for a substitute when a key ingredient can't be found here in Costa Rica. To date, I have 172 recipes posted in my blog, and the number will continue to continue to grow as I discover new and interesting recipes. Maybe you'll find a new favorite recipe "... en la Cocina."